FarsiVoter in Los Angeles, CA translates voter materials into Farsi. FarsiVoter is the first and only definitive and comprehensive website for Iranian-Americans and all Farsi speaking voters in Southern California. Our goal is to register all eligible Farsi speakers and to educate them about the electoral process. The outcome of our lives and that of the next generation depends on what we do today as Farsi voters. FarsiVoter is proud to have created this sturdy one of a kind cotton tote bag (13" x 15") which costs only $10 including shipping costs. New voting changes are happening in Los Angeles County. making voting easier for everyone. Check out the Los Angeles County Registrar-Recorder's videos under "Educational Videos"
FarsiVoter was featured in Inspiring Iranians. FarsiVoter partnered with Women's March of Los Angeles for their Jan 20, 2018 event in Pershing Square. Check out our "Event" page to find out more. FarsiVoter is providing you with election materials in Farsi under our "Resources" tab created by the Los Angeles County Registrar-Recorder's office. Take our new Survey and help us understand the issues that matter to you, and how we can help you register to vote. Know your rights as a voter so you will not be intimidated at the polls, under our 'Resources" tab. FarsiVoter is very proud to be partnering with ACLU's grass roots campaign "Let People Vote". FarsiVoter is very proud to announce that we have registered 171 people, and counting. Did you know that the California Primary will begin in March instead of June for the 2020 Presidential election. Then you can see the Farsi Sample Ballot for that election. You can obtain the following election materials in Farsi. Just click on the election materials you want below and it will give you the link to it. Click on the link and it will take you there. FarsiVoter's appearance on the fantastic show "Our View" on the Asreemrooz Channel talking about our website. Los Angeles County Board of Supervisors for our civic engagement efforts. On KPFK 90.7 FM Rebel Radio show talking about FarsiVoter. 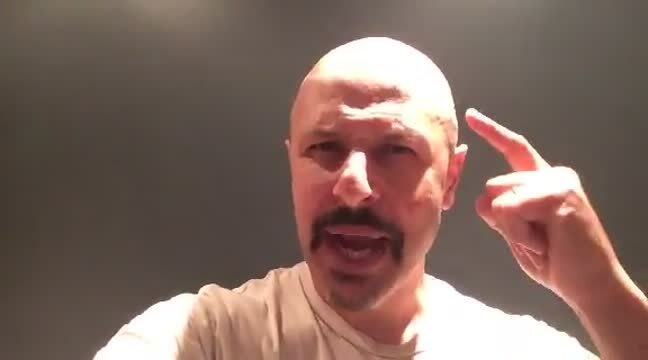 The amazingly talented actor, comedian and activist Mr. Maz Jobrani. and learn about how to become a Poll Worker on Election Day. HOW MANY STAMPS DO I NEED TO MAIL MY BALLOT VIA U.S. POSTAL SERVICES (USPS)? None. Postage is pre-paid for all Vote by Mail voters in Los Angeles County. HOW CAN I RETURN MY VBM BALLOT? You can return your VBM ballot via the USPS, just drop it in the mailbox, no postage required. If you would like to deliver it directly to us, you can drop it off at a Drop-Off location or at any voting location on Election Day. No matter how you return it, don’t forget to sign and date your return envelope. WHEN DO VBM BALLOTS BEGIN BEING MAILED? We begin mailing out VBM ballots 29 days before Election Day. Voters registered as Permanent VBM will begin receiving their ballots a few days after mailing. One time requests will be processed daily and should be received within a few days of the request. For the November 6, 2018 General Election, we will begin mailing materials by October 9, 2018. WHAT DO I NEED TO FILL OUT THE VBM BALLOT? The VBM ballots must be filled in with black or blue ink. HOW CAN I REQUEST A VBM BALLOT? You can request a VBM ballot online at LAvote.net or by filling out and returning the back cover of the sample ballot booklet to the Los Angeles County Registrar’s office. HOW DO I REQUEST A VBM BALLOT IN A LANGUAGE OTHER THAN ENGLISH? Call the Los Angeles County Registrar’s multilingual services section at (800) 815-2666, option 3 to request election materials in another languages. This video will teach you step by step how to fill out the LA County Voter Registration Form in Farsi. You need to fill out this form in order to be eligible to vote in federal, state and local elections for candidates and measures in Los Angeles County. You need to re-register whenever you move, change your address, change your last name, or change your political party affiliation. Please check out our "Resources" tab to find more helpful websites offering current information about voting and upcoming elections. See candidate biographies, top priorities, photos, policy videos, endorsements, and detailed information about who funds their campaigns. Read neutral summaries of ballot measures, see the latest news on the measures, and find out who supports and opposes them. FarsiVoter is so proud to be part of the grass roots movement by ACLU to preserve the voting rights of every American citizen. We will be hosting events to inform and mobilize our community to protect and defend our civil liberties. ProCon.org is the leading source for Pros and Cons of controversial issues. FarsiVoter has been a proud member of the League of Women Voters of Los Angeles, and has served on their Board. We have also for the first time in their 100 year history had their "Voter Resources" page translated into Farsi. is voting good for you? Registered voters are more likely to engage in civic and political activities than those who are not registered. They are also more likely to talk to elected officials and be an advocate for themselves and their families. Voters are more likely to be active and engaged citizens who connect with their neighbors and participate in community activities. Voters tend to have stronger social connections, leading to a greater quality of life and longevity. Census surveys suggest that registered voters are, compared to non-voters, more strongly connected with their neighbors and family members. They are more likely to discuss political issues with family or do favors for their neighbors. Voters have the satisfaction of knowing that they have expressed their opinions. Voting is a form of personal empowerment that gives you the opportunity to voice your opinion on issues that matter to you, your family, and your community. • Better health outcomes: Voters have higher levels of self-reported health and voting could also potentially boost mental health. • Reduced unemployment: Voting and other forms of civic engagement have been tied to lower unemployment rates. • Lower recidivism rates: Ex-offenders who have their civil rights restored are less likely to return to prison. The Florida Parole Commission reported that over a two year period ex-offenders who had their voting rights restored were three times less likely to end up back in custody. You have two choices when voting. You may vote in person at a polling place in your county, or you may vote by mail. When you arrive at your polling place (which can be found on the back cover of your County's Sample Ballot Booklet), a poll worker will ask you for your name and check the official list of registered voters for that polling place. After you sign next to your name on the list, the poll worker will give you a paper ballot or any other ballot that your county uses. You can now take your ballot and go to a private booth and start voting, you can take your Sample Ballot Booklet that you have received from the Los Angeles County Registrar-Recorder's office, or your Voter Information Guide that you have received from the California Secretary of State for reference with you into the voting booth to help you vote. Poll workers are there to assist you to vote. If you have any problems you should talk to a poll worker or the election inspector at your polling place. The inspector is like a manager that manages the polling place, and they are trained to help you with all your voting questions. If you make a mistake in marking the ballot, ask a poll worker and they can give you a new ballot and you can start over. You don't have to vote for every single contest on your ballot. Also remember that state and federal laws require that polling places to be physically accessible to voters with disabilities. Ask a poll worker or an inspector for assistance. For voters who cannot stand in line to vote, Los Angeles County has curb side voting at your polling place. If your name is not on the voter list at your polling place, you have the right to vote a provisional ballot. A provisional ballot looks like a regular ballot but you will place it in a special envelope given to you by poll workers. You provisional ballot will be counted after election officials have confirmed that you are registered to vote in that county and you did not already vote in that election. After you mark your choices on your Vote-by-Mail ballot (which you received from the Los Angeles County Registrar-Recorder's office because on your Voter Registration Form you indicated you wanted to vote by mail) put it in the official envelope provided to you and seal it. Sign the outside of the envelope and mail it. Even if you receive your vote-by-mail ballot, you can change your mind and vote at your polling place on Election Day. Bring you vote-by-mail ballot to the polling place and give it to a poll worker to exchange for a polling place ballot. If you do not have your vote-by-mail ballot to turn in at the polling place, you will be allowed to vote on a provisional ballot. On election day in Los Angeles, polls will be open from 7:00 a.m. to 8:00 p.m. If you are in line before 8:00 p.m. you will be able to vote. Language was the primary factor used by the Los Angeles County Registrar-Recorder's office when they began in 2014 to offer online Sample Ballot Booklets in Farsi. (please see the story of how this came about based on FarsiVoter's proposal under the "About Us" tab). Farsi language is not only spoken by Iranian-Americans, but so many other immigrants from countries such as Armenia, Iraq, Afghanistan, Turkey, Israel, and Tajikistan to name a few, who also reside in California and will benefit tremendously from election materials in Farsi. With California being the most populace state in the United States according to the 2010 Census data and Los Angeles being the biggest County in California, and with a total population of over 92,000 of Iranian-Americans alone in Los Angeles County, what happens in California matters and FarsiVoters are a significant voter population who can impact the outcome of elections in California.